A research study conducted by Personnel Today has found that 61 percent of Human Resources leaders strongly agree that their roles have become more complex within the past several years and 52 percent said that they lacked the ability to fully cope with the deluge. In addition to increasing complexity, 60 percent of respondents also reported that they did not have full confidence in how their organizations managed complexity. This opinion was especially prevalent with C-level respondents (45 percent). 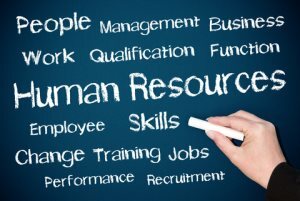 • 94 percent of global HR pros are dealing with increasing complexity with over half of them unsure of their ability to cope. • 61 percent reported being overwhelmed by their roles. • 60 percent lack confidence in how their organizations manage complexity. • 32 percent of respondents reported having only “average” to “very little” confidence in their leaders. • The most impactful complexity factors selected by respondents were the increased complexity of decision making, macro-economic factors, compliance issues, and the emergence of new technologies. • Almost two-thirds of respondents think that complexity is heavily impacting efforts to increase revenue.